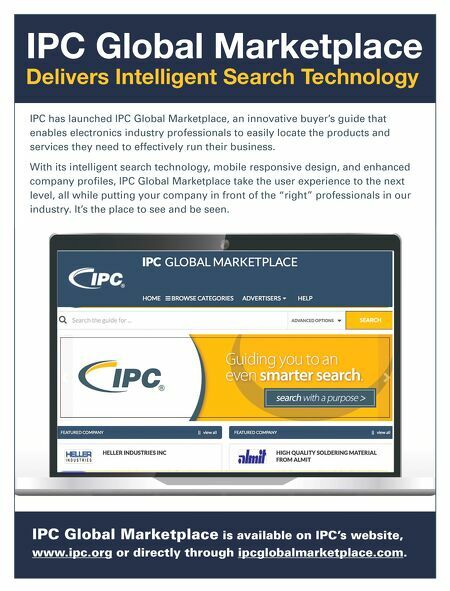 IPC Global Marketplace Delivers Intelligent Search Technology IPC has launched IPC Global Marketplace, an innovative buyer's guide that enables electronics industry professionals to easily locate the products and services they need to effectively run their business. With its intelligent search technology, mobile responsive design, and enhanced company profiles, IPC Global Marketplace take the user experience to the next level, all while putting your company in front of the "right" professionals in our industry. It's the place to see and be seen. 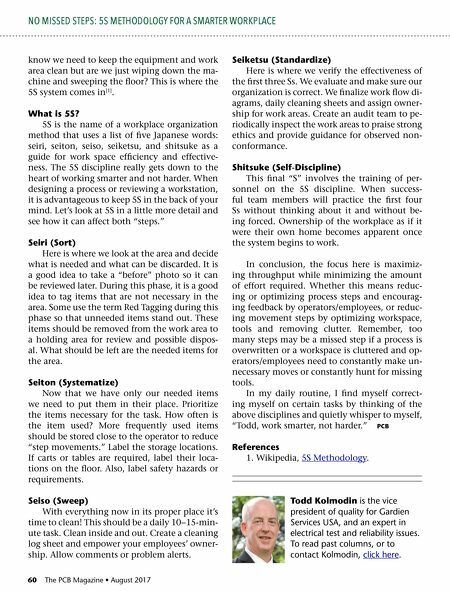 IPC Global Marketplace is available on IPC's website, www.ipc.org or directly through ipcglobalmarketplace.com.